Live Learn Shine On: Happy Birthday Kylie - Special Birthday Video Surprise From Fans! 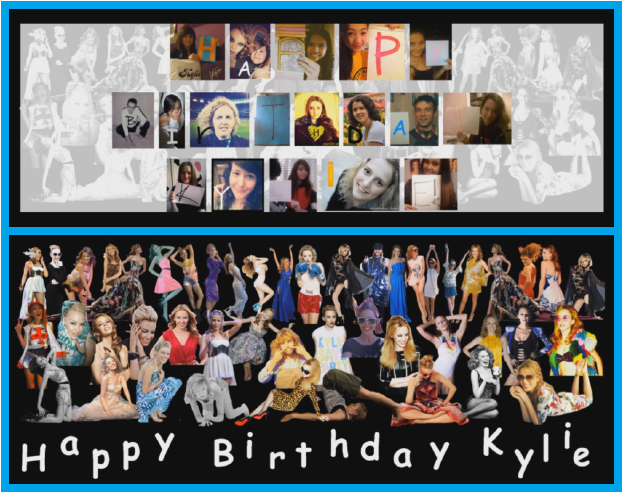 Happy Birthday Kylie - Special Birthday Video Surprise From Fans! "May 28th - does it say anything to you? I bet it does! This time, we'd like to make a little surprise present for the lady." Nicola and I have been nurturing the "Birthday Surprise" idea since November last year, trying to come up with something Kylie fans would join us in doing, something we'd be excited to do and something Kylie and us could enjoy and remember. This is when the "Kylie Birthday Video" came to our minds. 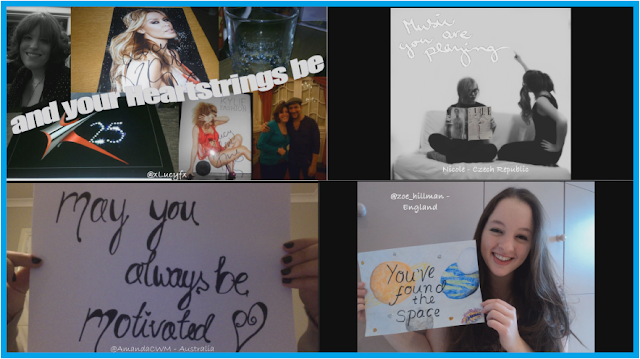 Nicola and I would like to thank Kylie Brazil, Kylie World and Kylie Unlimited for their constant support and publicity, Matias Segnini - for making these projects even more exciting by making the exclusive music, and for his work in general (check out his works here), Lovers, Timebombers and simply Kylie Fans for making these projects happen, wanting to participate and your big loving hearts that want to express it all this kind of way, and of course, our Birthday girl, Kylie Minogue, for EVERYTHING!